Helen was born March 2nd, 1932 in a small village of Yakushi, Poland. In 1939, at the age of seven, she immigrated to Canada, with her –parents, one older sister and one older brother. A younger sister was born in Canada. They settled in WhiteBeech, Saskatchewan to farm and that was where she was educated at the Porcupine School. On October 1st, 1949, she married William Kostryba at Arran, Saskatchewan and they moved to Snow Lake, Manitoba where William was employed at the mine. In the fall of 1950, they moved back to WhiteBeech to farm and raise a family of three girls and one boy. In 1986 they retired to Swan River, Manitoba. Helen loved camping and fishing which she did a lot with William in their motorhome. They also took many trips, including going to Alaska. Helen loved music and played the accordion, guitar and organ. She was a member of the senior choir and the United Church Choir. She took many bus tours with her friends, touring USA and Canada. The photos she took and the stories she told were very interesting. Helen was employed at the Co-op store in Swan River for eight years and at the Metropolitan store for four years and retired in 1992. Helen is survived by her son Renny Kostryba of White Beech, SK; daughters Lorraine (Ed) Achtemichuk of Rhein, SK, Leona (Billa) Deepak of Calgary, AB and Carolyn (Lorne) Roming of Yorkton, SK; sister Anna (Mike) Gnida of Swan River; five grandchildren Amy (Josh) Webber, Sheldon (Navjot) Deepak, Sonny (Suneele) Oberoi, Quinn (Debbie) Zander and Corinna (Mike) Bourbonnais and by ten great-grandchildren. 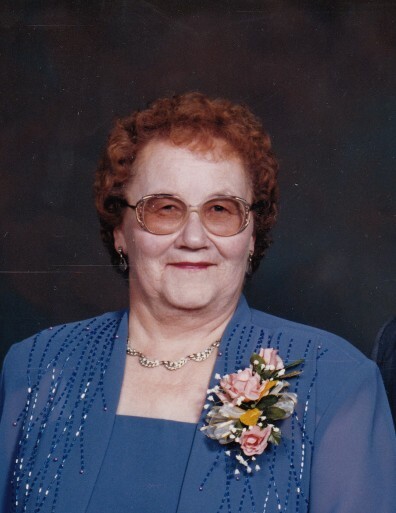 Helen was predeceased by her husband, Bill in 2018; parents Sam and Pearl (nee Cwir) Deyneka; sister Barbara Maksymchuk and brother Alex.